Seattle, Washington – Closing another record year, Symetrix, DSP solution specialist has announced its annual US regional sales representative award winners. Based in Roseville, California and having represented Symetrix for 25 years, The Farm AV earned Rep of the Year, while on the opposite coast venerable Cardone, Solomon, & Associates (CSA) earned Highest Sales Growth. The recently launched, Texas-based Native Media successfully leveraged owner Michael Austin’s decades of industry experience to earn the Symetrix Outstanding Sales Achievement Award. 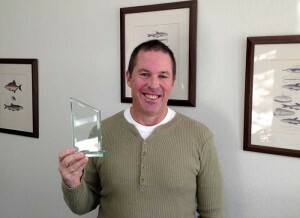 In picture: John Hood, principal of The Farm – recipient of Symetrix’ Rep of the Year Award.